Twitter is joining forces with Bloomberg media to create the first-ever 24/7 breaking news network. The new live streaming news network will combine the vast global editorial and newsgathering capabilities of Bloomberg with the digital power of Twitter, which has become one of the world’s fastest and primary news distribution channels. Bloomberg will collaborate with Twitter to provide an unprecedented live experience for video news consumers around the world. The new network in-development was unveiled today at Bloomberg Media’s NewFront presentation, following a live interview with Michael R. Bloomberg and Twitter CEO Jack Dorsey. Launching in Fall 2017, it will feature an extraordinary mix of user-generated breaking news video from citizens, curated and verified by Bloomberg editors, along with live video and reporting from Bloomberg journalists around the world. Combining the speed and immediacy of Twitter with the editorial rigor of Bloomberg, the network will be interactive, rich with social content and consumable on any device. “Today’s global news consumer wants and needs more than what’s currently available. In an era when most viewers are choosing immediacy over quality in breaking news, traditional media hasn’t kept up. With this new network, we are setting out to reinvent the digital breaking news experience. 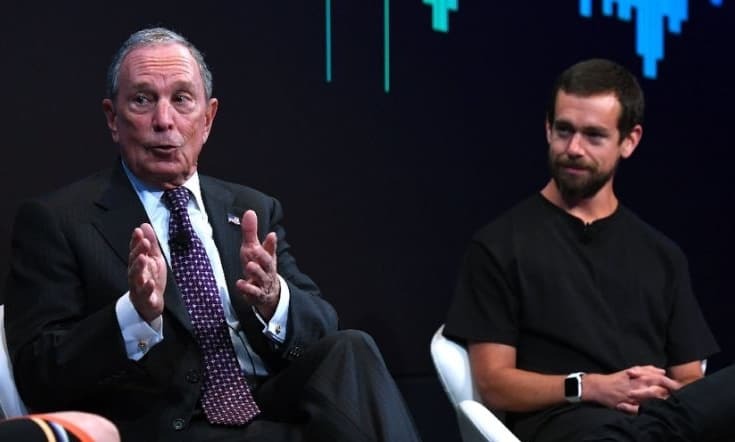 The powerful combination of Bloomberg’s high-quality journalism and data-backed objectivity with Twitter’s global immediacy, interactivity and reach will create the world’s fastest and most credible modern news source,” said Bloomberg Media CEO Justin B. Smith. “The stage is set for innovation in news and Bloomberg is taking on that challenge. Twitter’s speed and vast global network of content and commentary combined with the high quality, editorial rigor of Bloomberg is a unique and powerful combination. Our collaboration will bring these forces together through live video and the related conversation,” said Anthony Noto, COO of Twitter. Bloomberg Media draws on 2,600 journalists and analysts in more than 70 countries and delivers news across digital, TV, radio, print magazines and live events.